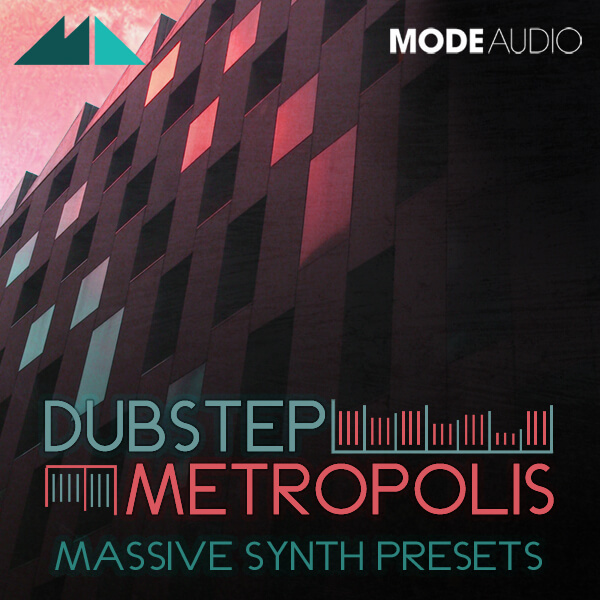 ‘Dubstep Metropolis’ picks itself off the floor, dusts itself down and prepares for the next swing…this battle-ready Massive preset pack comes to you from ModeAudio, who’ve searched the city streets high and low to capture the very essence of gritty, demonic Dubstep. Including 50 .nmsv patches and 50 MIDI loops, this pack has what it takes to provoke some snarling menace in your productions. Get ready for the growl! We’ve used and abused all of Massive’s modulation capabilities to create this pack, throwing in monstrous wobble bass, howling synths, shrieking arps, volcanic sub bass and epic pads. Take this pack home and your tracks will not go hungry for Dubstep ferocity! ‘Dubstep Metropolis’ comes to you fully prepared for tweaking and modification, with all 8 macro controls of each patch loaded and waiting for you to get to work. The pack is also fully compatible with Massive’s preset browser, so you can search for the tags that best match your sonic needs. It’s time to unleash the monster and be careful with this one, it has teeth!